Your Western Mass source for building products for masonry, hardscape and erosion control. What's on YOUR "to do" list? Whether you're a professional contractor, or a DIY homeowner, we've got everything you need to make your next hardscape project a success. Cook Builders Supply operates the largest masonry supply yard in Western Mass! Browse our extensive indoor and outdoor showrooms and let our knowledgable staff help you pick the right products for your job. Look here for Cook Builders Supply news, special events, how-to articles, upcoming sales, promotions and close-outs. 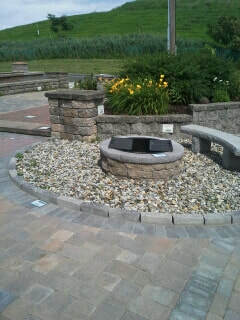 Cook Builders Supply knows stone. In fact, we've been the leader in masonry supplies here in Western Mass for over one-hundred years. Yup, that's a long record of customer service, product knowledge and expertise. "Masons need not look further! With a wide variety of materials and tools, masons and cement finishers will find exceptional quality and the right tool for the job at Cook Builders Supply." ~ Jim K.
Join our Mailing List to learn about demos, sales, how-to's and more!